August 8-19, 2018. Mutnovskaya volcanological school took place in Kamchatka, in which researcher of the Laboratory of Geoinformatics and Geomagnetic Studies I. Belov took part. Classes and field studies took place on the territory of the natural park "Volcanoes of Kamchatka", which is a district of active volcanoes Mutnovsky and Gorely. The main participants of the school were young scientists and students from Russia, America, Canada and Germany. As part of the event, lectures were given on volcanic geology, volcanology, seismology and geothermics. World-class scientists delivered lecturers at the school: P.E. Izbekov (PhD UAF), I.Yu. Kulakov (Doctor of Physical and Mathematical Sciences, A.A Trofimuk Institute of Geology and Mineralogy, SB RAS), N.M. Shapiro (Professor IPGP, France), E.I. Gordeev (academician, IVS of FEB RAS). 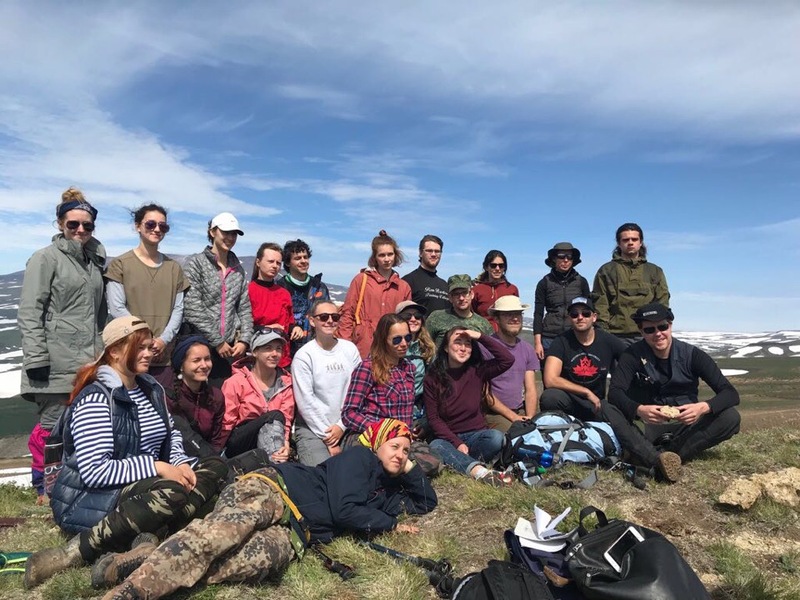 This year students of the chair of physics of the Earth at the Physics Faculty of Moscow State University, currently undergoing training in Kamchatka, under the guidance of D.V. Chebrova (Director of the Kamchatka Branch of GS RAS), A.Yu. Marchenkov (Associate Professor of the chair of physics of the Earth), A.N. Tselebrovsky (researcher at the chair of physics of the Earth) also visited the field school. The students installed the equipment to register the seismic signal. From year to year the Mutnovsky volcanological school allows participants to expand their knowledge in the field of volcanology, learn to work with the necessary equipment, improve field research skills, and also get acquainted with the work of foreign colleagues.